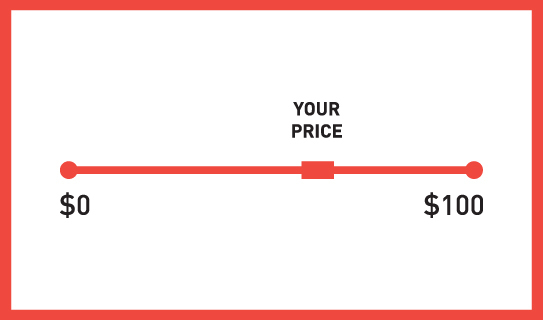 As a new brand, what if you let the customer decide how much to pay for your offerings? Let them pay whatever they feel is fair. A bold statement. And a great thought to ponder: What is your product really worth to your customer? If you have a strong established brand with a trusted and emotional connection between your offering and your customer, you may be surprised by the impact this model can have. Panera Bread did it most famously: In special Panera Cares Community Cafés (based on what SAME Café has done before them) customers pay what they can, and, more importantly in this context, they pay what they want to pay. Guess what? They make more profit. I believe there is great value in entertaining this strategy for various segments at a brand foundation level. It’s noble, yes, but further it can be used to build a truly profitable brand; one that will honestly and truthfully connect with its customers from the get-go – a brand built on trust. If you are launching a social enterprise (or feel highly socially responsible), and you have the guts, I believe there is great glory to be had.